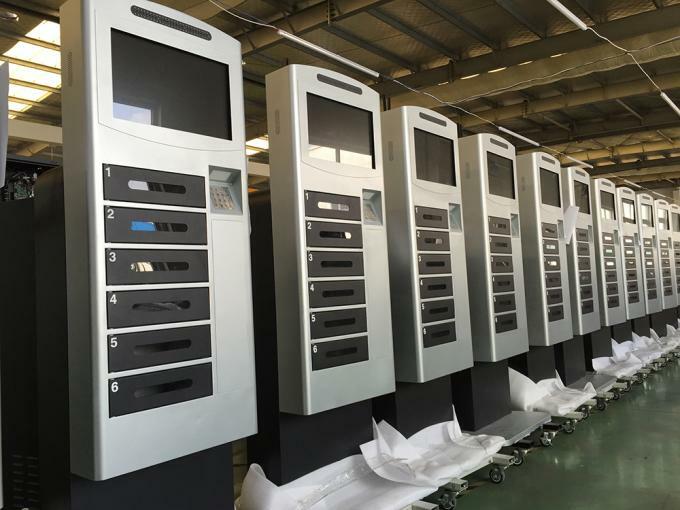 Winnsen 24-hour mobile charging service vending machine with secure digital locker integrates deposit lockers, mobile phone chargers and LCD advertising displays into "three in one". People can connect to charge their phone. They can either stay there to watch the ads video or go shopping. They don't need to stand near the machine to monitor their phones. In addition to make incomes by phone charging, you can make money by selling ads on a 43-inch LCD. 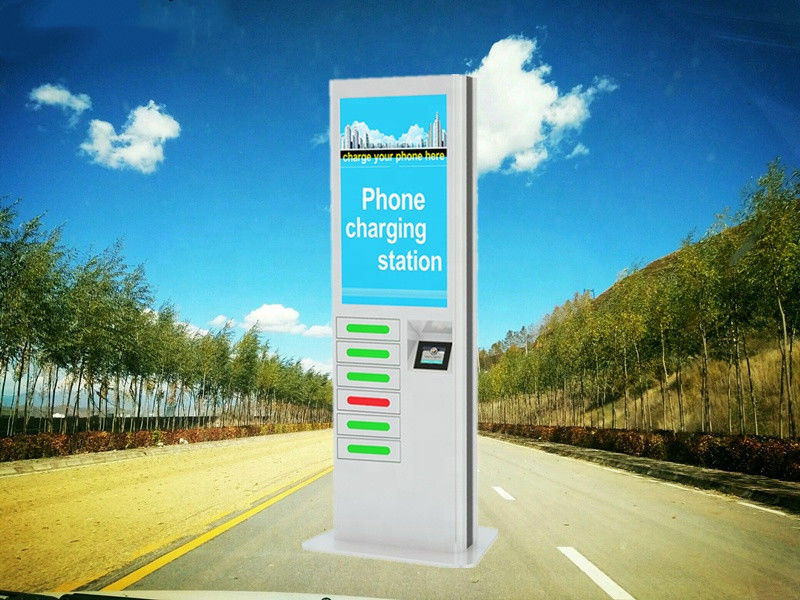 Compared with traditional digital signage and LCD advertising players, Winnsen mobile charging kiosks attract more people to watch promotional videos and pictures because it has a charging function. People around Winnsen mobile charging kiosks are happy to see ads because they can let their devices charge. 5-inch touch screen display operation instructions, users can easily understand how to operate on Winnsen mobile phone charging kiosk. 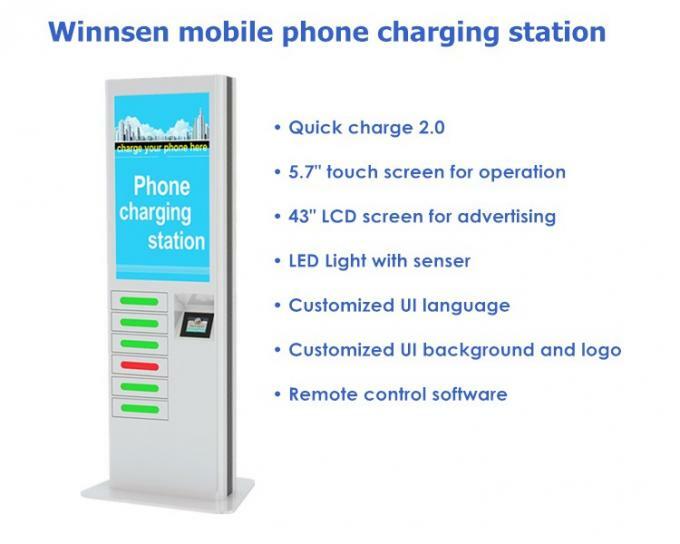 Quick response from the touch screen, users from different countries like to charge their phone on Winnsen Kiosk. It provides users with a great user experience and is popular with high-end venues. 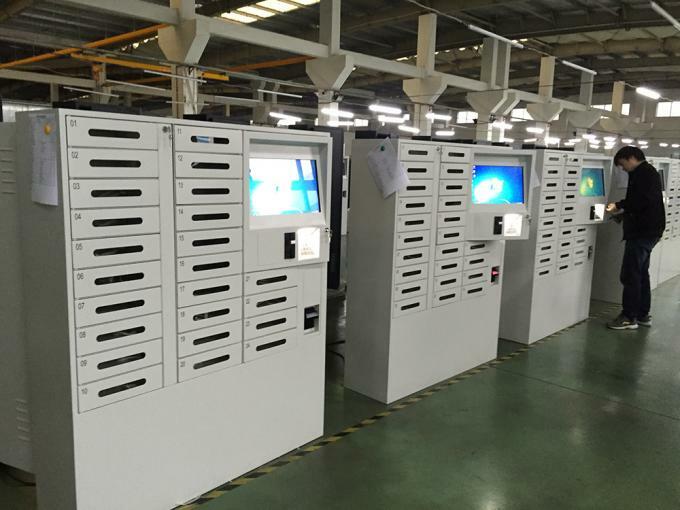 The four electronic lockers are equipped with LED lighting inside. Not only does it make the charging station even more glamorous, it also has an indication function. 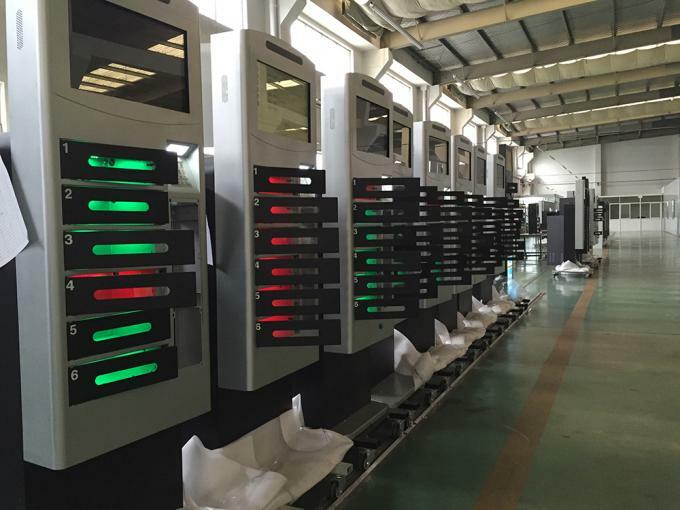 There will be a green light in all empty lockers, and users will know that the green lockers can be recharged. All occupied lockers have a red light inside. If the user sees that all six lockers are red, they will know that they need to go to other charging stations nearby to charge their equipment.